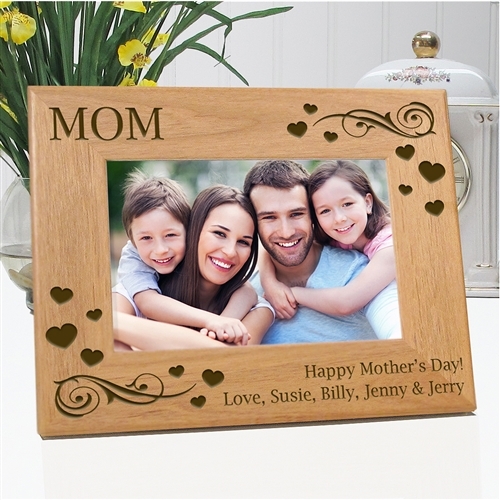 This beautiful wood frame holds your favorite 4x6 or 5x7 photo and includes engraving of up to 4 names and choice of family members. Treasure your mothers love with our Mother's Day Treasured Hearts personalized picture frame! 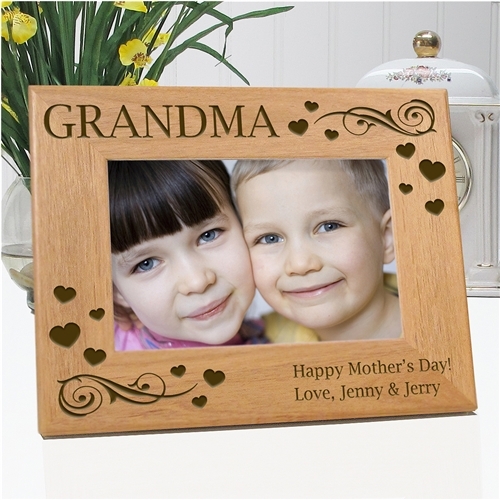 We skillfully engrave your loving gift with your choice of persons dear to your heart such as Mom, Grandmother, Auntie, Stepmother and others. Below the engraved words Happy Mother's Day! we'll carefully engrave 1 to 6 names. This beautiful keepsake is available in 4"x6" and 5"x7" photo sizes, horizontally only. Our photo frames come with a rear easel stand for your desk or table, or may be hung on the wall. Etched In My Heart uses high quality Red Alder Wood and engraves all designs with a computer controlled laser. Your frame will maintain a fantastic look and feel for years to come, and won't fade or degrade. When giving this as a gift, we also offer a free enclosure card! 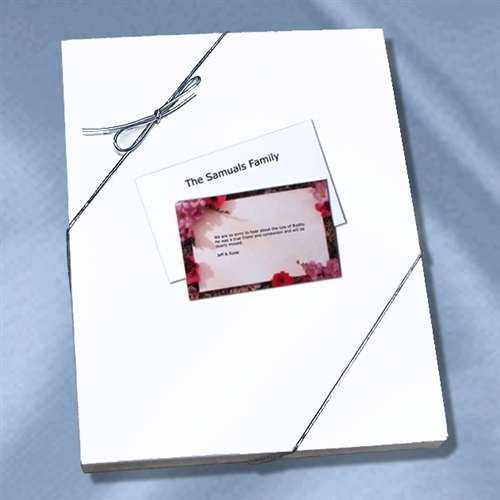 Let us know who you'd like it addressed to and any message you want added. The frame will be delivered in an elegant white box adorned with a silver bow!